Spanish photographer, lives and works mainly in Madrid (Spain). 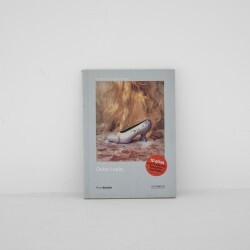 An active figure in Madrid's Movida, Ouka Leele imposed from the end of the 1970s and the Spanish cultural revolution initiated with Franco's death, a resolutely creative and playful photographic work, revealing a surrealist and singular poetics of everyday life. From the painting for which she initially intended herself, and from the photography that she adopted "by intuition", she proposes a new hybridization to question both the experience of reality and the conventions of figuration. Ouka Leele thus composes mises en scène, photographs them in black and white to distance them from reality, superimposes the colours "inherent to life" on them using paint, before photographing them again. "I am a photographer, but as in Magritte's painting: this is not a photographer!" Yet Ouka Leele refuses any systematism of style and claims the spontaneity of creation. Still lifes, artistic nudes, portraits: his series, playful or mysterious, evolve between eccentric, dreamlike or intimist settings; his palette of colours reveals itself in turn blatant, saturated or tender. But always his creative device plays with the gap, the breach, to make emerge a visual poetry, a narration in the fixed plane of the photographic image. 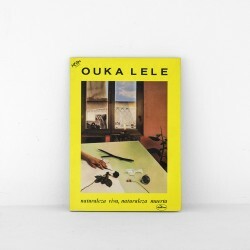 Winner of the 2005 National Grand Prize for Photography of the Spanish Ministry of Culture and the Grand Prize of the Urban Community of Madrid, Ouka Leele's works are regularly exhibited in Spain and abroad and include prestigious collections including those of the Cartier Foundation (Paris), the Cervantes Institute (Lisbon), or the Reina Sofia National Museum (Madrid).